Life is too short to not make a statement everywhere you go. The 2017 Acura ILX redefines the way people look at a compact sport-sedan. The aggressive styling makes bold statement, while the high-revving engine and rapid-shifting eight-speed dual-clutch transmission turns every head while turning every corner. You can test-drive a 2017 Acura ILX in in Greenwood, IN, here at Hubler Acura, also serving customers from Fishers and Carmel, IN, and throughout the Indianapolis area. 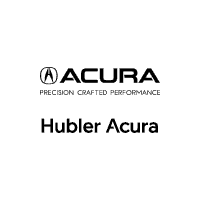 If you’re looking for a distinguished Acura dealership in the Greenwood area that provides top-tier service and commitment to every customer that walks through the door, then Hubler Acura is the dealership for you! Come visit us today. We’re conveniently located just 2.5 miles from Greenwood Park Mall. When your 2017 Acura ILX needs scheduled maintenance or repairs, look no further than Hubler Acura. When you visit our state-of-the-art Service Center, you can enjoy a complete peace of mind knowing that our expert technicians are trained to handle your service needs both quickly and affordably. If you’re looking to customize your new 2017 Acura ILX, Hubler Acura can help you with parts and aftermarket accessories. Our Parts Department keeps a comprehensive inventory of OEM auto parts, and if we don’t have a part or accessory you need on hand, we will be more than happy to order it for you. If you’d like to purchase or lease the 2017 Acura ILX in Greenwood, IN, drop by Hubler Acura at 1265 US Highway 31 S., Greenwood, IN 46143 for a test-drive. We look forward to seeing our customers from Greenwood, IN, and throughout the Indianapolis, IN, area!